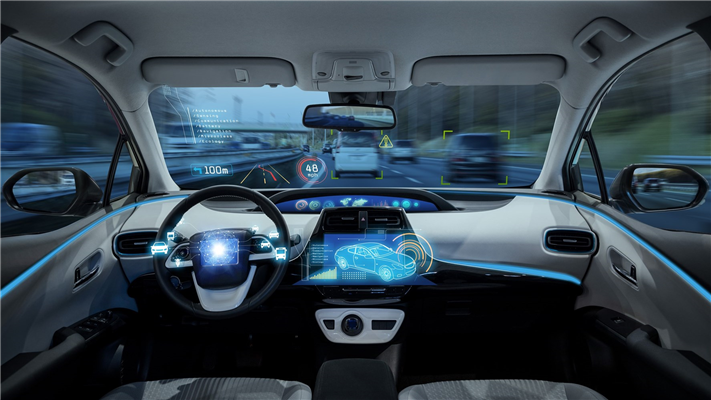 The automotive industry sets some of the highest quality standards in manufacturing, driven by a need to ensure safety and a desire to control costs. Increasingly, car makers are asking their suppliers to provide full traceability of parts through the supply chain. If a batch of components proves to be faulty, it should be traceable back to its original manufacturer, and forward to the cars that may ultimately require repair or recall. UK-NSI, a driver information systems manufacturer, makes instrument clusters for car dashboards and head-up displays, and is the European manufacturing hub of Japanese company Nippon Seiki. "We've had traceability on our printed circuit boards for a long time, by the nature of the interlinked assembly process," says Tim Palmer, Engineer, UK-NSI. "But we’ve had minimal traceability for our cluster build before. Now our customers are asking us to provide traceability on all parts." UK-NSI was establishing a new production line, which was delivered without a traceability system that met their needs, and therefore an improved solution was required. A more robust route enforcement and rework system was also required because if the rules were overridden or overlooked by staff, there was the possibility that an incomplete or faulty product could ship. When mistakes are caught in the final quality control check, that's the most expensive time to fix them. UK-NSI needed to ensure that any parts that failed a quality check did not proceed further through the manufacturing process without being rectified. “Quality is hugely important to our customers, who are premium car manufacturers,” says Mr Palmer. “Recall costs are astronomically high: To remove the head-up display that goes into premium cars, you have to remove the windscreen. Our customers are increasingly asking us to be able to trace parts all the way through the manufacturing process, and all the way back to the component suppliers." Argenta won a competitive tender to help UK-NSI introduce traceability across two of its manufacturing lines, one of which was a conveyor assembly line and the other was made up of individual assembly stations. Each station now has a PC that runs a LabVIEW application to collect data and check the assembly requirements against a new central database. A web API is used to communicate with the database, which collects all of the assembly and test information relating to each build. The solution connects to UK-NSI’s ERP system, so each time a work order is released, the Argenta system updates the database with the parts that are required for the work order. When components are received at UK-NSI's factory, the Goods In department adds an Individual Traceability Label (ITL). That unique label contains purchase order and lot information from the supplier, so that components can be traced from a final product back to the supplier. · Noise checks, to ensure that head-up display internals and speedometer needles move without creating noise. When parts are passed to the next assembly station, the solution checks that the parts have passed the quality tests of the previous station before the process can proceed, enforcing the correct route through the factory. The solution can also keep track of rework limits, ensuring that components are not fitted into a part more times than the specified maximum. While components may be expensive, and reuse is desirable, each pass through the assembly line can weaken the fixing and reduce quality, so UK-NSI has agreed reuse limits with its parent company. "The screen will tell you if you're doing something wrong," says Mr Palmer. "If you try to do something the system is not expecting, the screen will turn red and the process stops." All of the data in the Argenta solution is collected into a new database, providing a single source of traceability data for all the parts produced by these two lines. In the event of a query on a part, UK-NSI can show its customers the quality control results at each point of assembly, and trace the components back to their original suppliers. Data was previously being captured from manufacturing stations using individual CSV files. "These were not easy to interrogate," says Mr Palmer. "We build 9,000 parts a day, so the number of files being created ended up being huge and were becoming unintelligible because of their quantity. Our team had written macros to generate daily reports, but because each production line gives its information in a different way, we ended up having lots of different reports, and then another macro to collate five or six reports into one. It was messy." "The best outcome is that the new system stops us from sending out parts that are incomplete, wrong, or somehow damaged in assembly," says Mr Palmer. "It's also much easier to get information now. We use Power BI and Tableau to generate reports and give us informative graphs in real time. Previously, we had daily reports. Now, we can get updates as required." If a high failure rate was reported at a station it used to take a day or two to collect evidence to trace the root cause. Now, UK-NSI can see the current performance and more quickly resolve any issues with supplied parts, machinery or staff. To refine the production line, UK-NSI can use the new database for Statistical Process Control (SPC), analysing the fluctuations and repeatability of many of the production processes. "Argenta brought really helpful suggestions to enable us to select data from the machines we had used in the past," says Mr Palmer. "They have a deep technical knowledge and went above and beyond what was asked of them. Now, when customers come in to visit, we can show them that we have more traceability than we ever had before. It impresses our customers who asked for traceability, and many of them are getting a lot more than they asked for. They're really happy." In building this solution, Argenta and UK-NSI had to come up with some innovative workarounds. In some cases, the data needed to be intercepted on its way to the machine controller so it could be used by the new solution. Some parts, such as plastic housings, came without part-level traceability and only had generic barcodes that revealed nothing about the part or its origin. Argenta ended up using the length of the barcode to work out what part it was, since this was unique to each part (luckily!). For Argenta, it was particularly interesting to see that traceability could be retrofitted to a production line that was designed without it in mind, and with minimal impact on the existing processes. If you'd like to talk about how we can enhance your traceability, please get in touch.